Have You Suffered Illness or Injury After Taking Invokana? Invokana, or the generic drug canagliflozin, is a prescription medication that may be used in Type II diabetics to increase glycemic control. Unfortunately, the drug has been linked to some very serious health side effects, including ketoacidosis, kidney failure, cardiac problems, and even death. This has led doctors, patients, and officials with the FDA to question whether the medication’s benefits outweigh its risks. There are some 26 million American who suffer from Type II diabetes, and although Invokana has been proven effective, the FDA has issued multiple warnings about the drug’s side effects. In 2015 they issued a warning about the risk of ketoacidosis resulting from Invokana use, in 2016 they issued a warning about the risk of acute kidney injury from taking Invokana, and in 2017 they issued a warning about leg and foot amputations resulting from the use of Invokana in patients with Type II diabetes. Evidence has shown that one of the major side effects of Invokana is ketoacidosis. This is a very serious condition that, if left untreated, may result in death. The condition requires immediate medical attention and some cases result in hospitalization. Ketoacidosis results when there is a buildup of acids in your blood that results when your blood sugar has been too high for too long. Symptoms of ketoacidosis may include nausea and vomiting, confusion, abdominal pain, sudden fatigue, and difficulty breathing. Invokana works by causing the kidneys to excrete excess blood sugar through a diabetic’s urine. This excess sugar in the urine and bladder results in conditions that are more conducive to infection. The kidney problems are caused because the kidneys are having to work harder. Kidney failure happens when a person’s kidneys quit functioning the way that they are supposed to. This often results in the person needing to have dialysis or a kidney transplant. When they stop functioning these waste products, electrolytes, and fluids built up and can result in weakness, lethargy, shortness of breath, cardiac problems, confusion, and death. How Can Invokana Result in an Amputation? Clinical trials indicated that patients taking Invokana are twice as likely to suffer from a foot or leg amputation as those taking a placebo drug. Toe amputations, and more particularly, those in the middle of the foot, are most susceptible to amputation. 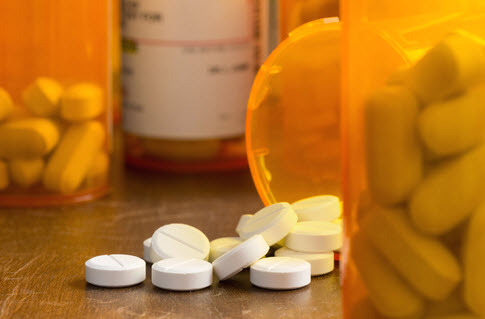 The FDA issued a warning stating that patients taking the diabetes drug should be exceptionally careful in checking for signs of infection in their legs and feet. These include new pain or tenderness, ulcers, sores, redness, and fever. If you have any of those symptoms you should contact your healthcare provider immediately. If you or your loved one has experienced any of the above side effects after taking Invokana, you may be eligible to receive compensation for your injuries. Compensation can include past and future medical expenses, past and future pain and suffering, and past and future lost wages and loss of earning capacity. The attorneys at Leifer Law Firm have the knowledge and experience handling Invokana cases to get you the maximum compensation under the law that you deserve. Contact us today for a consultation at one of their convenient Florida locations.